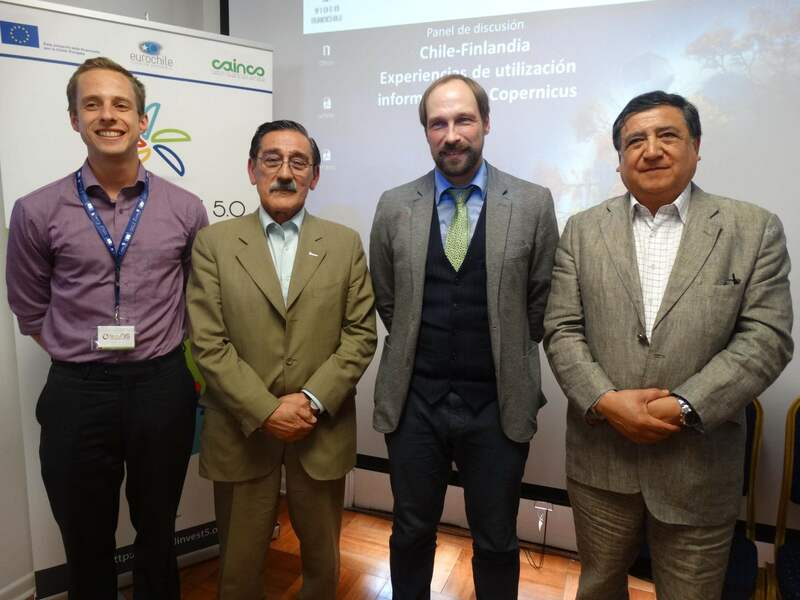 We took part in the International Seminar on the use of Copernicus in SMEs, organized by EuroChile on 20.11.2018. The Finnish guest expert, Mikko Strahlendorff from the Finnish Meteorological Institute, gave an overview of the types of Copernicus data available and the possible applications that can result from them. Christophe Duquenne (from TerraNIS), had the opportunity to explain how TerraNIS SAS uses Copernicus data to create products for agriculture or land management. Christophe also presented concrete examples of data applications – with Sentinel 1 (field movements), Sentinel 2 (forest areas) and Sentinel 3 (water quality) – through the projects of the international SME network EUGENIUS ASSOCIATION.